Once your child has reached one and a half years old he or she may begin to show signs that they are ready to start toilet training. Potty training should not be stressful or hard for you or your child but more of a rewarding and exciting step for you both. Although not the most glamorous parenting experience, toilet training your child will reward you not only with a confident and independent child but with all those nappy savings. 1 When Should I Begin Potty Training my Child? 1.1 Diagram – Is My Child Ready to Start Toilet Training? 2.2 Should I Buy a Potty or Use the Toilet for Training? 8 What Has Worked for Other Mothers? When Should I Begin Potty Training my Child? Can sit for a few minutes without getting up. Is becoming interested in others going to the toilet for example interest in mom or dad using the toilet. Has dry nappies for up to two hours. As a child grows they have the ability to store their wee in their bladder. Pulls at nappy when he/she has done a wee or poo. Lets you know with words that he/she has done a wee or poo. Is able to pull his/her pants up and down with little to no assistance. Understands where the bathroom is and where their potty is located (if you have previously purchased one). Can follow instructions given to them, for example ‘Can you please pass me your blocks’. The time it takes to toilet train one child can vary from another. Toilet training can take a few days, to a few weeks to a few months. It is important to let your child learn at their own pace. Forcing potty training onto your child can make them fear going. If your child begins to show no interest in potty training it may be a good idea to take a break and try again once a few weeks has pasted. Diagram – Is My Child Ready to Start Toilet Training? If you feel as though your child is ready to commence toilet training you will need to decide on either a free standing potty or an insert for your toilet. There are benefits for both of these options although young children often feels safer on a potty as it is closer to the ground. Everything about toilet training is new to your child so ensuring they feel safe and comfortable should be your number one priority. The timing of potty training is important. Try to start potty training your child when there are no events coming up that your child will need to attend such as going away camping. Starting care or a new baby coming into the household can interfere with your child’s toilet training. It is important to wait until after any big events or changes have come and gone to commence training. This way you child can really focus on when they need to go to the toilet. Should I Buy a Potty or Use the Toilet for Training? Some mothers choose to buy a potty because it is mobile to wherever they need to be and it is always the same potty that becomes familiar to the child. Other mothers choose to buy an insert that fits within the toilet set and find that their child is confident to use the toilet from the start. The choice is ultimately up to you. If one isn’t working, you can always try the other method. 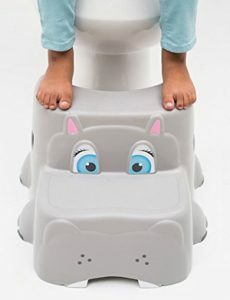 If you choose to use the regular toilet to toilet train your child you will also need to consider buying a stool so that they can reach the toilet. Setting up a nice ‘toilet training’ area can allow your child to enjoy the potty training experience. Some mothers have suggested having a book available next to the potty or a small activity so that your child can relax and entertain themselves while they use the toilet. It is a good idea to place a mat under the potty especially in colder months. Their is nothing worse than cold tiles touching your feet when you are trying to learn how to go to the toilet. One of the number one things you will need to commence toilet training is something you cannot purchase. Patience and perseverance are both qualities you will need to help you get through the toilet training phase. Below we have listed items you may wish to purchase to make the experience easy for both you and your toddler. Even though your child may still be young it is important to discuss toilet training with them. This may include practising some words associated with going to the toilet such as ‘wee’ and ‘poo’ along with showing them flash cards with pictures of each. Mothers have suggested letting your child trial their new potty with a nappy on. Getting familiar with the potty without the pressure of having to do a wee or poo can help them get used to the idea of sitting on it. Once you commence potty training your child you may like to invest in toilet training undies. These undies are padded enough to hold a wee while still allowing your child to feel that they are wet. It is important to praise your child for using the potty. This will encourage them to keep using the potty. Set a day that you intend to commence toilet training your child. This should be a day where you are able to stay home to watch for signs that your child needs to use the potty/toilet. By now you may have noticed when your child seems to fill their nappy. It should be around these times that you offer for your child to use their potty. Many children tend to need to do a wee first thing in the morning, a half hour after food and drink, before and after having a bath and before bedtime. Moving to a different room, passing wind and going quiet are all signs that you may need to take your child to use the potty. Do not use the potty as punishment. If you have sat your child on their and after a few minutes he/she has not done a wee or poo but their nappy back on and let them play. There is always a ‘next time’ when you will be able to catch them in time. Always praise your child for using the potty, especially if they successfully do a wee or poo. Throughout the day, at times you find your child does a wee/poo ask them if they need to use the potty. It is important to not make them feel pressured to use the potty when they do not need to or they are not ready. It is important to stay calm and do not get upset for accidents that may happen throughout the toilet training process. If your child attends daycare ensure you let their teachers know that they have started toilet training. The teachers should support you by continuing the training of a day. Often seeing other young children use the toilet will encourage your child to follow. Let your child know that you are proud of them. 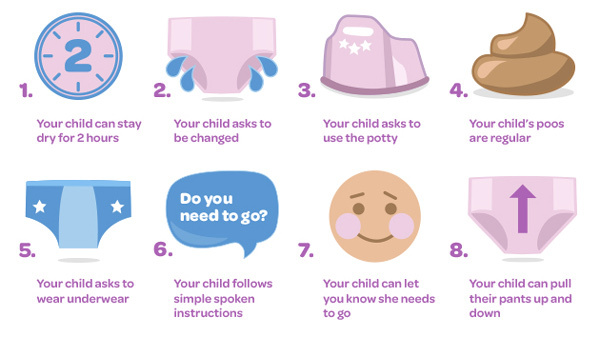 Stickers and sticker charts can often encourage your child to use the potty. A healthy snack that your child enjoys (for example, strawberries or blueberries). 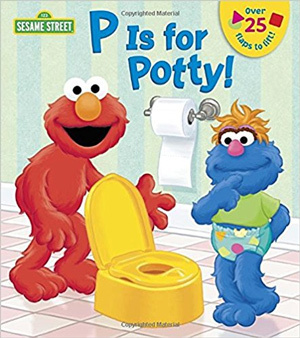 Reading a special toilet training book to your child. Reward your child with something they love such as bubbles. When you decide to toilet train your toddler you will either choose to begin by using nappies between toilet trips or you may decide to only use toilet training pants. It is important to still use nappies at the beginning while you child naps and sleeps as they will not have the control needed. Letting your child go naked (if possible) throughout the day will allow you to get them to the potty quickly when they need to do a wee. Always ensure the clothes you put your child in can be easily undone. When a child needs to go they will not be able to hold it in for long. Going to the shops and letting your child choose their own underpants can be exciting and encouraging. Even letting them choose a book to read on the potty can be the reward they need to commence training. Some mothers opt to use special toilet training pants that are helpful for holding accidents such as poos. Pull up nappies are also an option. These nappies can easily be pulled down by your child allowing them to feel independent. Pull ups will absorb small wees and poos while still allowing your child to realise that they have gone in the nappy not the potty. Pull ups are great for days you need to go out while still in the early stages of toilet training. Huggies have a range of pull up nappies suitable for both girls and boys in a range of different sizes. After your child has used their potty you should teach them proper hygiene practices. Even though they are young, these hygiene practices are often carried through to adulthood. While your child is young you will need to wipe their bottom from from to back until they learn to do so themselves. When training a boy, it is recommended to let them sit on the potty when they are younger as it is easier than needing to learn how to aim at the same time. It is recommended while they are young to use soft baby wipes. Your child’s bottom can still be sensitive and often using toilet paper can be too rough. Keep a box of wipes next to your child’s potty so that you are ready to clean up any mess. 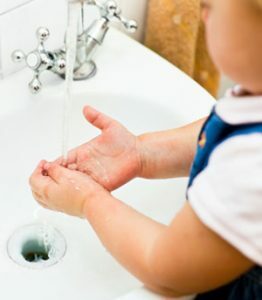 Ensure you wash your child’s hands after each time they use the potty. 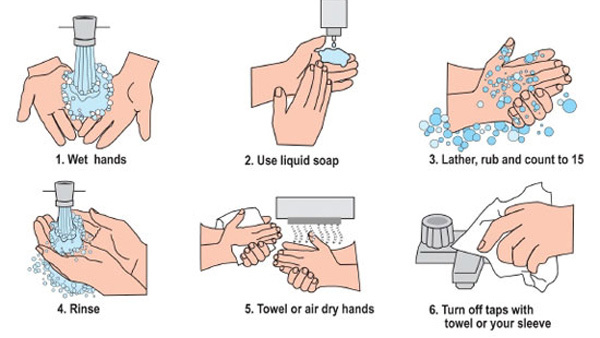 Use soap and water and dry their hands afterwards. You will most likely need to invest in a step-stool so that your child can reach the hand basin. What Has Worked for Other Mothers? 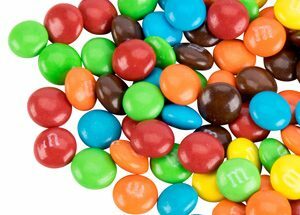 Mini M&Ms have been a blessing for other mothers. Rewarding your child with one after each potty visit can give them incentive to go to the toilet rather than in their nappy. Little white lies- Make up a story about an animal going to the potty and how they were rewarded. Reward your child with something that they love. If your child is a foodie, try a small snack food. 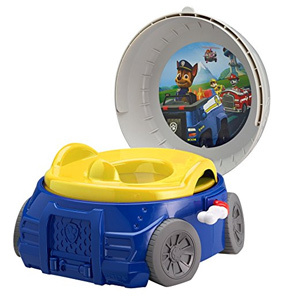 For car loving boys, try rewarding them with a car for a days worth of successful potty training. Words of encouragement. Often praising your child and giving them full on attention for doing wees and poos is all that they need to want to continue to show off their new skill. We have put together a collection of our personal favourite toilet training essentials. 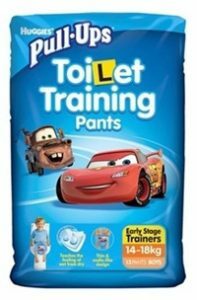 I have recently began toilet training my son and I have personally used many of the product listed within this section. Good luck too all the mothers reading this article who will be or are already toilet training their son’s and daughters. The majority of our children are Disney lovers. Whether it’s the Cars movie (I have personally sat through this movie over twenty times) or Minnie Mouse. 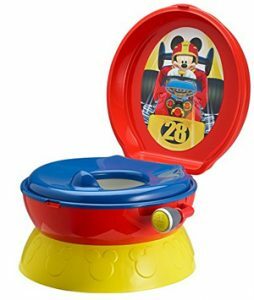 Their is a Disney potty perfect for all our toddlers. ‘The First Years’ company have a large range of potty’s that have interactive flush buttons that your child is sure to love. 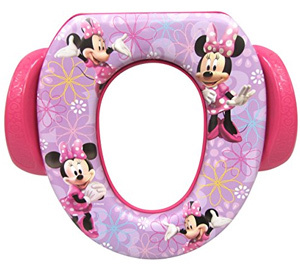 Potty’s similar to the one below range from $20.00 to $30.00 and come in a range of Disney designs. How cute is this Mickey Potty! These wipes are perfect for toilet training because not only are they gentle on your babies bottom, bu they can also be flushed straight down the toilet without causing any blockages or issues. 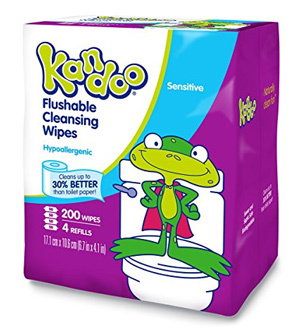 Kandoo Kids flushable wipes are hypoallergenic and can be purchased for under $10.00. There are many toilet training books available that make the learning process fun for your toddler.